tomorrow i will be on a plane heading to New York and i will be attending New York Fashion Week. i couldn't be more thrilled. one of my favorite tasks before attending Fashion Week is putting together my wardrobe. i take a look at the dresses i own as well as some of the new items i have purchased to make my outfits a little more special. one of my big beefs with clothing is when you wash a 'washable' item and it doesn't turn out the way you were hoping. 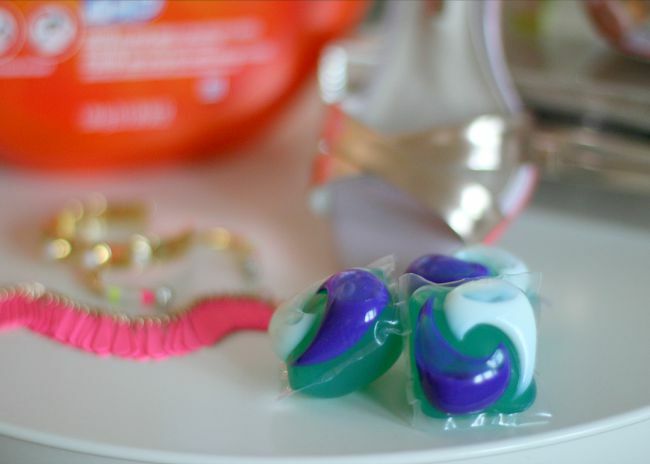 thankfully Tide Pods Plus Febreze are easy to use and effective at cleaning your clothes and keeping them looking and smelling fresh. some of my favorite dresses i will be packing along are pictured below. i have owned these dresses for a few months and they still look good as new even though they have been worn and washed several times. i attribute that to several things. first, buying higher quality clothes typically pays off because you are washing and cleaning nicer fabrics which can hold up to the wear and tear of a washing machine. even fabrics that look delicate are surprisingly washable with a front load washer, a delicate cycle and the trifecta of detergents - Tide Pods Plus Febreze. good detergent + stain remover + brightener not to mention the added bonus of Febreze. 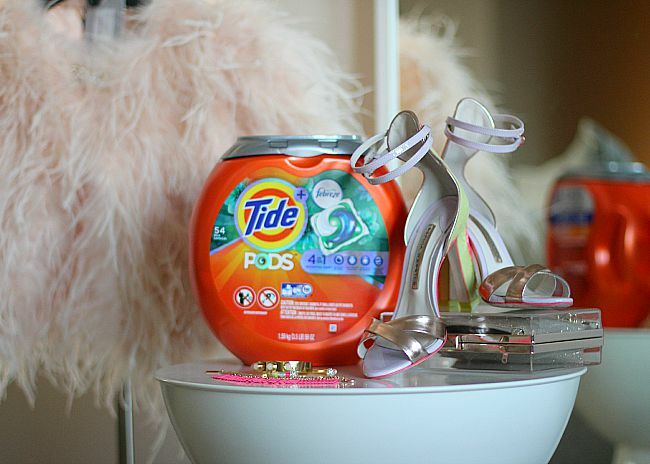 but seriously though, have you smelled how good these pods smell? amazing. last, be a conscious clothing wearer. by that i mean don't tug on your clothes (i have had more than one item ruined by snags or runs caused my an unconscious tug) be aware of where you are sitting, rough concrete can instantly ruin a delicate fabric and take extra precautions when eating. yes, i am victim to the occasional oil or tomato stain and have been so sad to have been so careless! these dresses below are all made of delicate fabrics but are surprisingly washable. i plan on packing each one with me to New York with a few special new accessories. my feathered jacket looks great with my blush dress and the rose gold sandals look fab with all three. some new bracelets and a clutch will round out the looks. of course i bought a few new dresses too - it is Fashion Week for heaven's sake and half the fun is coordinating my wardrobe for the shows. regardless, i am extremely grateful for the washability of these dresses below and look forward to bringing them along. if you have any washing tips to share please sound off in the comments below. also, be sure to follow me on Instagram to get up to the minute accounts or my Fashion Week adventures.